Stay fresh all day with our new and improved clear stick deodorant! 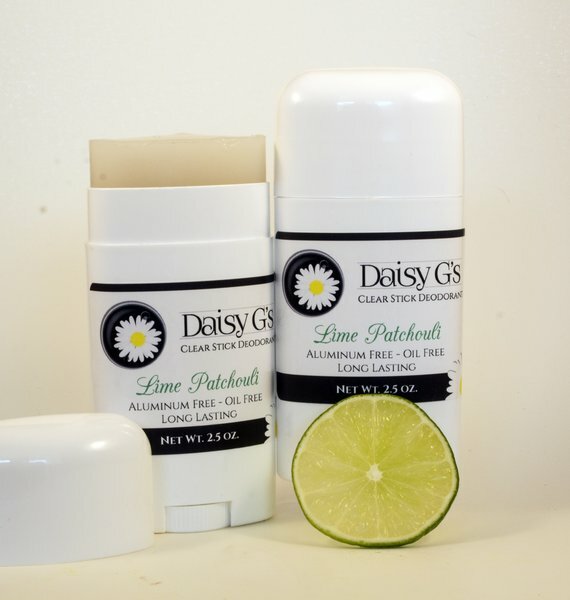 Our deodorant is oil-free with no aluminum, parabens or harsh baking soda to irritate your skin. Gentle feeling, but mighty when it comes to odor fighting, we include a triple shield of natural ingredients that protects all day, every day. Our exclusive formula contains silver citrate to inhibit the growth of odor causing bacteria, yeast enzymes to neutralize ammonia and essential oils to deodorize and provide all day freshness. Most “natural” deodorants are made with a base of oils which can stain clothing and feel greasy to the touch. Most also contain harsh ingredients like baking soda that have a high pH and irritate the skin. Our new and improved formula contains no oils, clays or butters to transfer onto your clothes and contain no baking soda or harsh ingredients. We believe that our deodorant is simply the best choice for safe protection that is available anywhere! Ingredients: Dipropylene glycol, sodium stearate, water, witch hazel extract, olive oil PEG-7 esters, polysorbate 20, saccharomyces ferment, potassium sorbate, sodium benzoate, silver citrate, citric acid, essential oil (patchouli oil and lime oil / lavender oil).